Uber has a new $30 free Uber credit promo deal going on right now for new members who sign up through a referral link. I just received an email that says that first time customers will now receive $30, which is 3X the normal $10 sign-up offer. If you are new to Uber this is a great way to start! If you use my referral link to sign up, I’ll also receive Uber credit (so thank you in advance if you do use it!) Also, if you have one feel free to leave it in the comments for others to use. On a side note, Los Angeles users can get 25% off of Uber rides for a limited time and no promo code is necessary to take advantage of the discount. In case you haven’t used Uber yet, they offer transportation services in major cities all over the world including Bangkok, Sydney, Lima, Rome, Vienna, Bogota and the list goes on. Uber is a great way to save on taxi fares if you’re traveling in any of the cities they serve, and if you just sign up now you will have $30 of free Uber credits for your next trip! Some other things to note about Uber is that while it’s advertised as a phone app booking transportation service, you can still book online. So if you’re traveling and don’t have your phone with you or a phone that can connect to WiFi, you can book through their website. 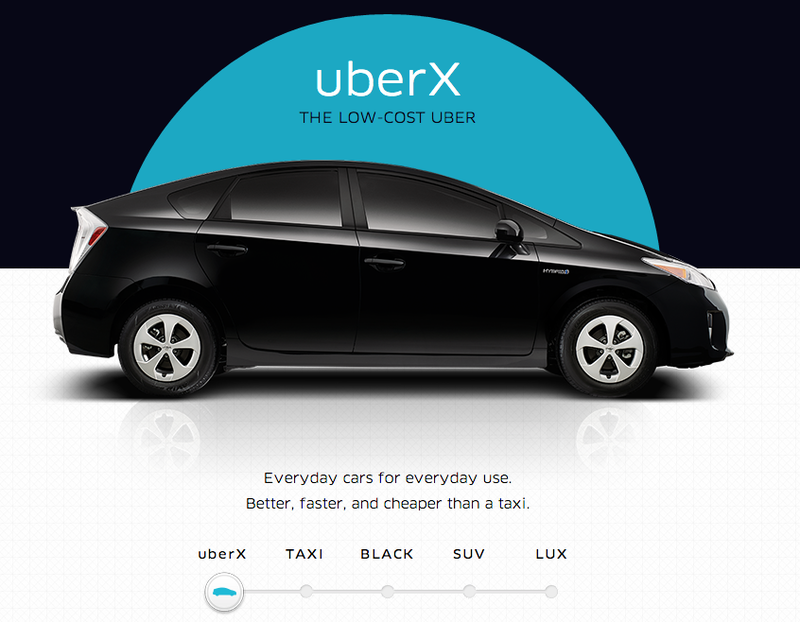 Uber has four types of cars you can request when they’re available: a standard taxi, UberX, SUV or a black car. The Uber site mentions that there is no need to tip and that 20% of your metered fare will be tipped to the taxi driver. It doesn’t mention anything about the other types of vehicles so if you want to tip your driver, you are likely welcomed to do so. Uber is a pretty reliable service. For one, it uses a GPS tracking system so you know where your car is. Unlike taxi services, you won’t be ripped off. The app shows you the rates for the city you’re in, which is what you will pay. On top of that, you never need cash riding Uber because your account will be charged automatically. 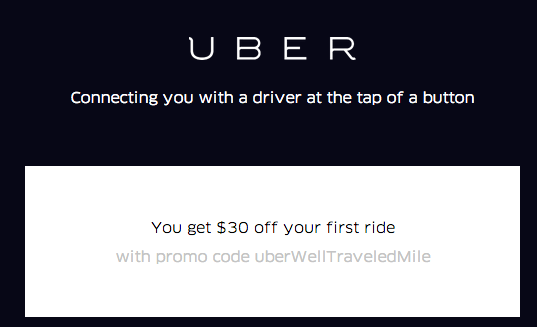 Enjoy the free $30 in Uber credits, happy travels! Enjoy the free $30, and thank you. I love UBER!